Over the holidays, I was interviewed about my work and “The Sleepwalker” by Laura Hamlett of Playback St. Louis. I thought her questions were really interesting. Here is the complete interview. Happy reading! 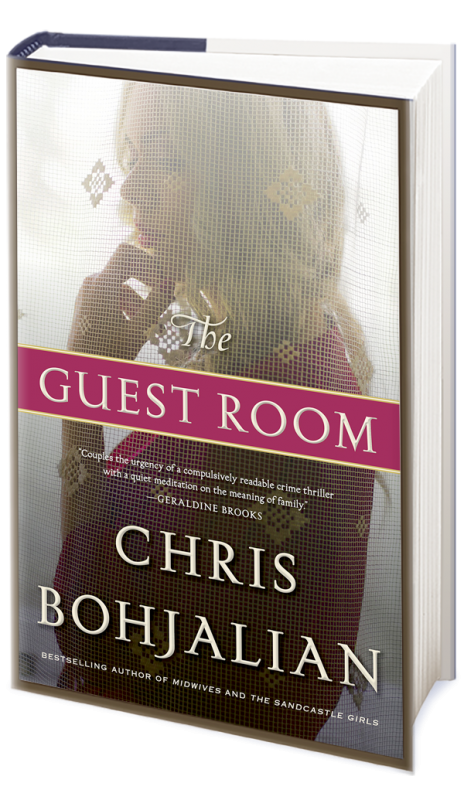 LAURA HAMLETT: When I read The Guest Room last fall, I found a new writer to love. I view following authors much the same as discovering musical artists. It’s exhilarating to find a new favorite; it’s icing on the cake if that favorite has a back catalog you can begin to consume immediately. 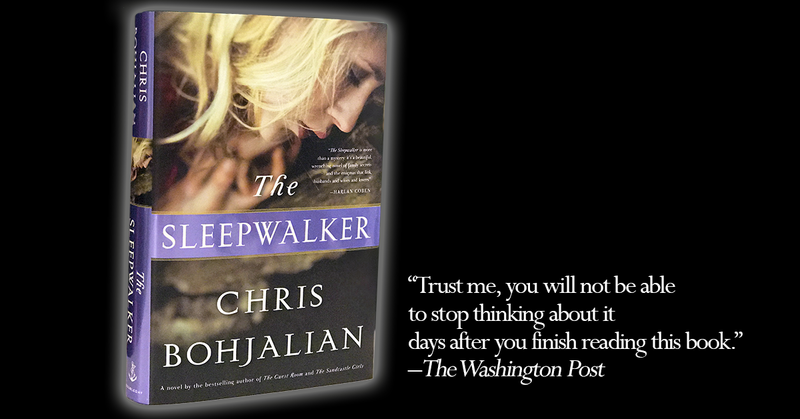 In the case of Chris Bohjalian, 17 books preceded The Guest Room, and one—The Sleepwalker—is on the eve of publication. I’d better get busy. In advance of a book tour for his impending release, Bohjallian took some time to answer my questions. Get to know him as I did—and then catch his reading when he comes to your city. When I was in high school, all I wanted to be was a novelist. I remember being disheartened every time I read an author bio, though, as they always had “real” jobs. You’ve gotten past that stage now (congrats! ), but what “real” (full-time) jobs did you have before becoming a full-time novelist? 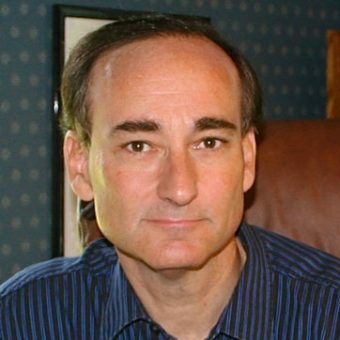 CHRIS BOHJALIAN: It’s true: When you graduate from college, a publisher doesn’t say to you, “You look like a young writer of promise. Here’s a boatload of money. Go write us a novel.” And so I worked in advertising agencies in Manhattan and Burlington, Vermont, until I was 31, writing fiction from five to seven in the morning before going to work, on Monday and Tuesday nights when I got home, and during the weekend. I wrote my first three novels and a lot of short stories that way. Just for the record, I also amassed a lot of rejection slips. I got 250 rejection slips before I sold a single word. I still begin my workday early: I try to be at my desk by six a.m. The discipline of those early years served me well. 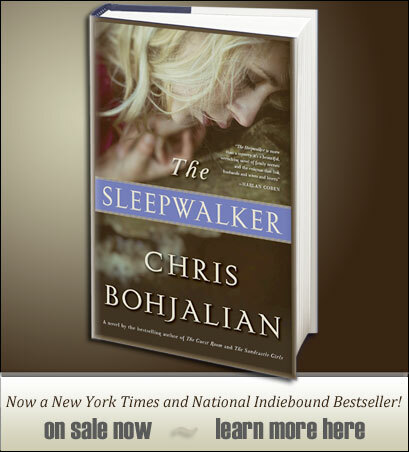 HAMLETT: With the publication of The Sleepwalker, you’ve now cranked out 19 books. What’s the secret to your longevity—to say nothing of your seemingly constant inspiration and self-control? BOHJALIAN: I like to believe that I have never “cranked out” anything. I like to believe that each book is the very best I can do. My goal is to never write the same book twice or write anything formulaic. I never want to disappoint my readers. And I only write about subjects in which I have a passionate interest: something that excites me so much that I can’t wait to be at my desk at six in the morning and that will keep me deeply engaged for a year or more of my life. After all, if the story or subject isn’t holding my interest, it certainly won’t hold a reader’s interest. HAMLETT: What was it like the first time: (a) you saw your very first book in print? (b) your book made the New York Times bestseller list? (c) your words were made into a movie? BOHJALIAN: The first time I held a finished a copy of one of my books in my hands, I remember thinking, “Wow. This cover is pretty garish.” Of course, I am responsible for the single worst first novel ever published, bar none. So, it probably deserved the cover it got. The first time I saw one of my books on a bestseller list, I was in a hotel with dial-up internet speed that was glacial. But I knew what was coming because my publicist had told me, and so I recall sitting at the hotel room desk and watching my laptop screen and just smiling like a five-year-old boy on his birthday as I waited and waited (and waited) for the page to load. I felt unbelievably blessed. I love movies. I actually watch movie trailers before I start writing in the morning to get into the right head space. And so I really enjoyed the first time I watched a rough cut of one of the movies based on one of my books. That movie was Past the Bleachers. Just for the record, it’s better than the book. HAMLETT: When you were in elementary/high school, dreaming of being a published author, whose career did you most covet? BOHJALIAN: That’s a great question. But looking back, I don’t think I coveted anyone’s career—at least not in elementary or high school. I don’t think I thought about being a novelist in terms of a “life.” I just knew that I loved to write and wrote all the time. I did think a lot of about Scott and Zelda Fitzgerald in high school. But even at 15 or 16—even when I was holding a red cup in my hand at a keg party—I was likely to view their end as hauntingly sad. It was only in college that I may have begun to “covet” a career. I probably imagined John Updike in his New England study: tall walls of books, a desk the size of a putting green, and (yes) a black Smith-Corona typewriter. HAMLETT: How much research do you have to do for each book to factually and honestly represent the realities of the characters and their worlds? BOHJALIAN: I do a lot of research. As John Gardner observed—and here I am paraphrasing—one of the ways you can wake a reader from the fictional dream is a lack of authenticity or a stupid mistake. Homework matters. No one reads my books because of the research. Yes, they may learn something about an issue or a moment in history. But I think people read novels because they are emotionally invested in the characters or fascinated with the story. HAMLETT: What do you like to do away from writing/reading? BOHJALIAN: I’m a pretty serious bicyclist: I ride 25 to 60 miles most afternoons between April and October. But when I’m not riding or writing, I am likely to be reading, binge-watching TV with my wife, or hanging around with my wife and daughter. I’m fortunate that I only need about six hours of sleep. 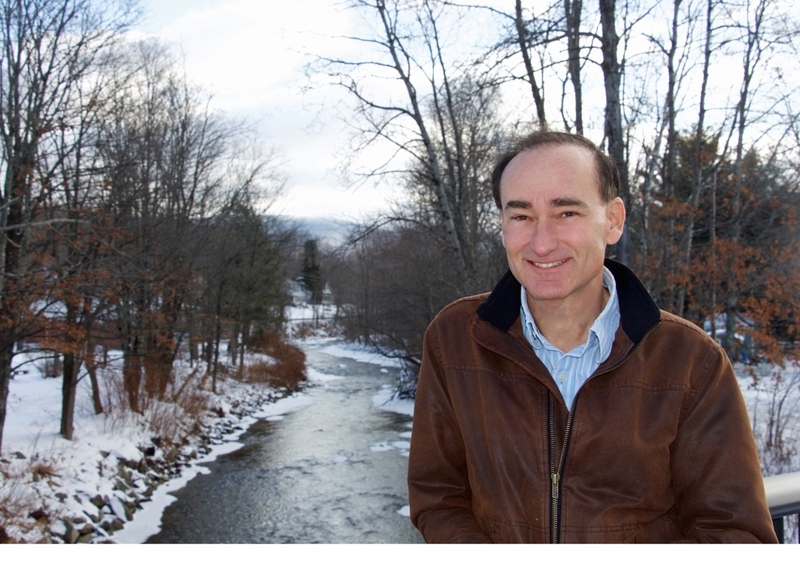 Chris Bohjalian is on a 2017 book tour to promote The Sleepwalker, making a stop in Denver at Tattered Cover – Littleton January 11. This entry was posted in Good Reads, The Writing Process, Untold Stories and tagged The Sleepwalker, writing.